Is it time to retire Microsoft Office, as my colleague Eric Lundquist says in his latest Information Week column? Much as I would like to, I can’t. Part of the problem is addiction, part comfort, and part because it just works well enough that there isn’t any reason to get rid of it. Office is the kudzu of the computer world: you can’t easily get rid of it, it has grown like topsy to take over other apps, and it holds you in its grip something fierce. Why addiction? Let’s face it, we have enough keystroke and command syntax memory that switching to something else isn’t useful. And yes, there are all these fancy tools that didn’t exist a decade ago, or even last month. Okay, I’ll admit it: my name is David and I have been a Microsoft user for 20 years. I would guess Eric is too. But retire Office? No chance. Comfort should count for a lot when you boot up your PC and open your apps. At least, if you use a PC. My officemate, who does a lot of accounting, certainly is a master of QuickBooks for his clients. But for some of his record keeping, he writes in ink in a paper spreadsheet ledger. It is what he is most comfortable with, and obviates the need for him to carry a laptop around. Makes sense to me. Certainly, many of us have had abusive relationships with Office over the years. Using Excel as our go-to database app to build tables, for example. And the oft-cited death-by-Powerpoint slideware. I have sat through far too many presentations, and more to come I am sure. But I, like many other professional speakers rely on Powerpoint to produce beautiful presentations that have few if any words on each slide. And while there are online substitutes like Prezi and Zurb, Powerpoint still has a lot of utility. Same with Excel: I learned how to do pivot tables back in grad school, and while I couldn’t do one today it is amazing that this is just another spreadsheet function. Speaking of function count, the original Word had less than 50 functions, and probably most of us still use less than these same 50 functions in our daily work. Do I need 457 different type fonts and being able to adjust my line spacing and right-justify my text? Not really, since much of what I write ends up on the Web and it is more important for me to know HTML format codes than where to find something in Word’s ever-more-obscure menu trees. Does Office need any new features? Probably not. What is clear is that many companies have stoppped upgrading Office, and are staying one or two versions back. Why bother? The new features aren’t all that compelling, to be sure. And once a few people start using the newer versions, you have document format incompatibilities. That is probably what Eric refers to by saying we need to retire Office. Maybe we just need to stop upgrading and paying the Microsoft tax. Speaking of which, sure there are plenty of alternatives. Like WordPad. It comes free with Windows. But they are all less than satisfying; even those that are nearly free like Google Docs. Google Docs can’t always deliver what you want. I use PiratePad.net for real time collaboration that just needs text and to capture comments (this came from the same people who were acquired by Google). Sometimes, all you need is one or two functions, as I said earlier. A few years ago I tried an experiment, and loaded all my content to my Google Docs account and saw how long I could last without using Word or any other Office program. I think I lasted maybe a week, probably less. Then I thought: what was the point? Office was fine for my needs. I mean, I am not going back to pen and paper. Or a paper ledger book. Of course, we have progressed. Now I see people at meetings composing on smartphone keyboards. Good for them. Or typing on glass, on tablets. Or even sillier: using a keyboard with their tablets. I have tried these and they aren’t for me. But that is just me. But seriously Eric, you really want people to retire Office and move to using a combination of Box and Yammer? Much as I love Box and Yammer, I don’t see this as a viable option. In the late 1970s when I was in grad school, I used DEC VAX and LaTEX and the predecessors to vi and other text editors that are still used today in the command-line world. This was on time sharing character-mode terminals. In my first jobs, we used dedicated word processing machines, such as the Xerox, Wang and NBI. They had screens and impact line printers and cost a bundle. But they were a real boon for those of us who learned how to compose on the keyboard. Now you say those words and people look at you funny: how else are you going to write something? Oh, you mean with a pen and a piece of paper? How retro! Then came the PC and the first DOS based tools in the early 1980s. Wordstar was one of the first. Then I worked in an insurance company where we gave everyone Multimate, which was popular because it mimicked the Wang word processing command structure. When I started at PC Week, everyone there used Xywrite and for many years in publishing I used that one. It was popular because again it mimicked the command structure of another minicomputer text processing system called Atex. Then came Word, and the rest of Office, and that was that. End of the need to try something else. The rest of the world adopted Office, and we are done evaluating anything else. Do we see a trend here? Word processors have been user interface train wrecks, caused by the comfort and keyboard memories of forgotten office equipment. But we use them, and use them hard daily. But retire Office? I don’t think so. Actually, Office has a lot of stuff in it. Many people couldn’t even name three other programs that are included in Office besides the big three. (Click on the Wikipedia link if you are curious.) Have you ever tried using Groove? Exactly my point. So sorry, Office is for better or worse, here to stay on our hard drives. But let’s try to make those 100-slide verbose decks extinct, please. I also tried to forsake Office in favor of Google Docs, only my hiatus lasted about a day. In addition to the loss of functionality, the speed of online apps was frustratingly bad. Of course, I remember the early days of Windows when people said the same thing about GUI apps. I’ve tried a couple of times to shift to the free OpenOffice platform, but I’ve found the minor differences in interface to be significant enough to send me back to Office. The fact is that once you’ve produced about 500 presentations in PowerPoint, it’s pretty hard to use anything else. I whole-heartedly agree with David regarding sticking with what’s familiar. 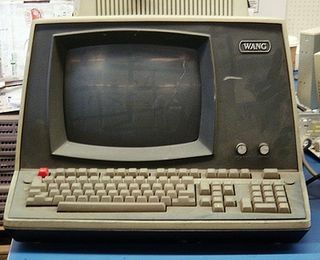 Over many years, I have worked with a dedicated word processor (comparable to Wang), SAMNA Word, Word Perfect, and finally Word. Every time I switched, there was an annoying learning curve. Although I didn’t feel that Word was the best word processing software out there, it was a relief to settle on a universal standard. I just wish that Microsoft would stop tampering with the menu structure. So, David, my list of text editors and word processors is similar but a bit different than yours (remember WordPerfect? It was the number one pc word processor for quite a while). But that does nothing but reinforce your point. Since I have covered word processing and office productivity and office automation since their infancy, I have gotten to try most of the products. Office stuck (starting from the Mac and moving to the PC in 95). Everything I have tried after that ranges from No! through Okay to Interesting but I haven’t found something that has made me walk away from Office and I have spent half a lifetime listening to users explain why they use what they use (mainly Office). I agree that comfort is a big issue. No one wants to learn a whole new interface (you should see me cursing at Pages on my iPad) although some will. Interoperability remains a major barrier to significant change. I have enough trouble remembering which version of Word which of my correspondents/clients/vendor contacts use, much less trying to interoperate with their text/spreadsheets/slides in another product. To me, this may be the biggest problem. I have a different slant to this. I think that ten or twenty years from now the difference between a content creator and a content consumer may be even more blurred than it is today and the tools that are used to created content will have changed entirely. What is an email that contains ten links, two photos, and a video? Certainly not word processing and I expect we will have better tools than widgets for Office. Maybe, as someone said on a twitter chat I was on this week, we just have to wait for the people who worked before the Internet to retire and the rest of the world can coalesce around whatever they like best! I agree with Dave that trying to retire Office is probably a non-starter. I do use Google Docs and while it has added a lot of functionality, it is not quite the same. Personally, I was a WordPerfect maven and still think it is far superior to Word. However, the business world, for the most part, uses Microsoft Office and that means Word is here to stay. It will be interesting to see whether “cloud computing” really takes off. Great concept, still pretty much in beta IMO.